This photograph shows Bert Kennedy and family. There are three children in the photograph. It was taken in either Barber or Seward County, Kansas. 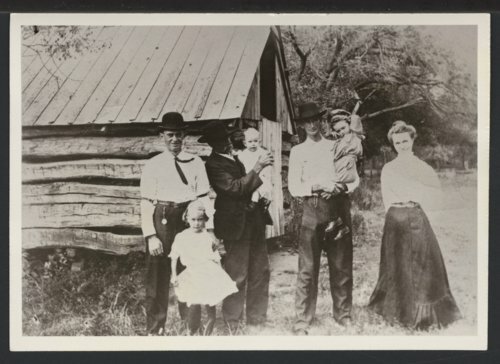 They are standing in front of a wooden building.